Kids being dropped down in a small drop tower in amusement park, laughing and shouting on a sunny summer day. REYNOLDSBURG, Ohio (Dec. 20, 2018) – Ohioans can start planning visits to all of their favorite fairs across the state. The Ohio Department of Agriculture today released the official dates for the 2019 fair season, which includes Ohio’s 94 county and independent fairs and the Ohio State Fair. The Paulding County Fair will kick off the 2019 fair season on June 10, and the season will wrap up on Oct. 12 with the Fairfield County Fair. In addition to setting and approving the dates for the independent and county fairs, the department is responsible for helping to assure the safety of fair amusement rides, monitoring livestock shows to help assure honest competition and coordinating animal health efforts with local veterinarians. REYNOLDSBURG (Jan. 9, 2019) – Forty-four individuals and one group were recently recognized at the 94th Ohio Fair Managers Association annual convention at the Greater Columbus Convention Center for outstanding service to their local fairs. Of this group, eight received the Director’s Award for Innovation and Excellence for their progressive ideas and actions to improve and strengthen their fairs. Ohio Department of Agriculture Interim Director Tim Derickson presented each winner with a certificate. Those chosen for the special honor (denoted by an asterisk below) received plaques. The award recipients were: Adams County: Mark Wickerham; Allen County: Max McCluer; Ashland County: Susan VanBuskirk Denbow*; Attica Independent: Bill Ruffing; Belmont County: Roger Perkins; Clark County: Dr. John Agle; Clermont County: Janice Schoellman; Columbiana County: Michael A. Conny; Coshocton County: Joe Wells; Crawford County: Travis Koschnick; Delaware County: Andrew Brenner; Fayette County: Dr. Robert Schwartz; Franklin County: Cornell Robertson; Franklin County: Ken Jewell*; Franklin County: Neil Distelhorst; Gallia County: Mike McCalla*; Geauga County: Artie Pritt; Greene County: Gary Zehring*; Hamilton County: Kristy Cook; Hardin County: Jim Bidwell; Harrison County: Nelson Birney; Henry County: Phil Parsons; Henry County: Marian Parsons; Huron County: Community Minded Fair Supporters Committee*; Lake County: Joe Slansky*; Marion County: Pat Baldinger; Medina County: Jeff Otterbacher; Miami County: John F. Rowley III; Monroe County: David Landefeld Sr. +; Morgan County: Carlos Dille; Perry County: Michelle Antonini; Preble County: Darrell Buckley; Putnam County: Eleanor Risser +; Richland County: Jason Snyder; Ross County: Dan Riddle; Seneca County: Robert Rainey; Shelby County: Dr. Lisa Alverto; Shelby County: Francis Gerald Schaffner; Shelby County: Patricia Schaffner; Stark County: Donna Huddleston; Summit County: Roger Bourgeois; Trumbull County: David Lynn; Warren County: Mel Hagemeyer; Wayne County: Vivian Wolf. Ohio’s 94 county and independent fairs and the Ohio State Fair support the local economy and help educate the public about the importance of agriculture and the many necessities it provides, including food, clothing, shelter, fuel and energy. In addition to setting and approving the dates for the independent and county fairs, the department is responsible for helping to assure the safety of amusement rides, for monitoring livestock shows to help assure honest competition, and for coordinating animal health efforts with designated local veterinarians. 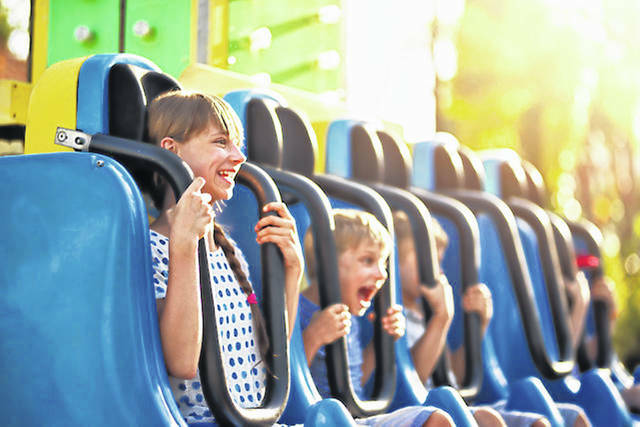 https://www.sunburynews.com/wp-content/uploads/sites/48/2019/03/web1_ride_mainimage.jpgKids being dropped down in a small drop tower in amusement park, laughing and shouting on a sunny summer day. For more information on Ohio’s fairs, including a listing of fair dates for the 2019 season, visit www.agri.ohio.gov.